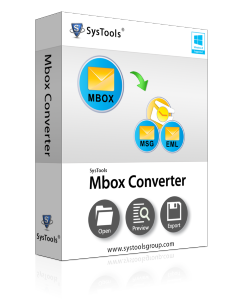 An extremely advanced technology is embedded with MBOX to MSG converter that help to extract emails to MSG files. 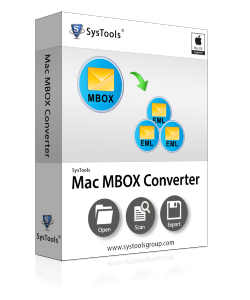 The Software is easy to execute and takes less time in importing MBOX to MSG mails. 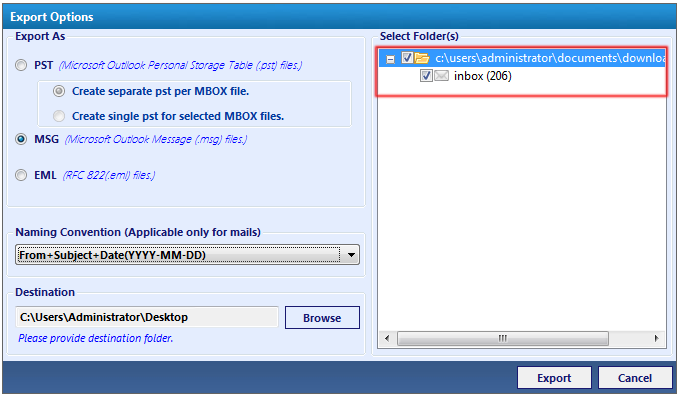 Export all the MBOX email data into MSG files in BULK. Not only in MSG mails, the tool also exports MBOX files into EML. Several naming Convention to save in different names of MSG files. 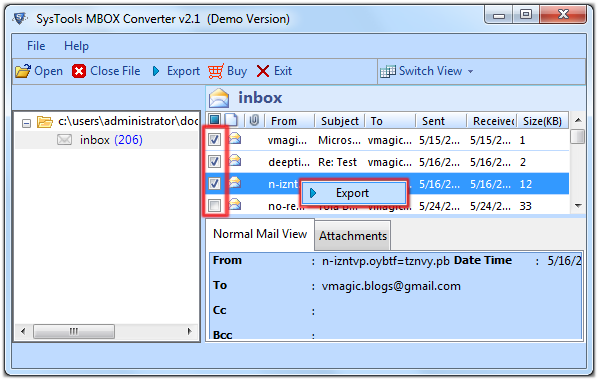 The tool Export all .mbox extension files supported by any email-client. No alteration in “Received” and “Send” time of emails when you Drag and Drop the emails anywhere on the system. Supports Windows 8.1/8 and below version and for Mac OS X 10.10(Yosemite) and above versions. Below mentioned Steps are the working procedure of MBOX to MSG Software. This Software has two types of Export Ways which makes it unique from others Software. 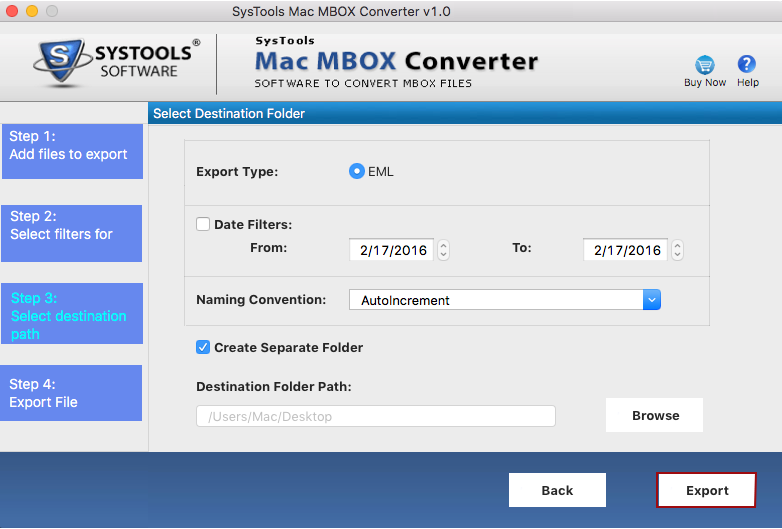 Just have a Look and Check out working procedure of MBOX to MSG Converter. First Method of Exporting MBOX files into MSG : The Red Horizontal Rectangular area shows that user can select MBOX mails directly from the Inbox. The significance of this kind of export way is , user can select the desired and valuable mails which they want to export and ignore that mails which are not useful. After Selecting desired mails, "Right" click on the mouse to get Export option. Click on export button. 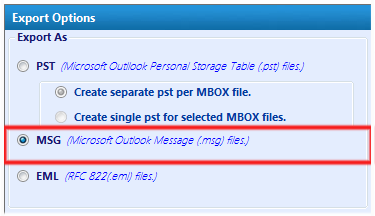 Selection of File Format : After clicking on the Export button, Select MSG files format to export MBOX files in .msg files. Naming Convention : When user select MSG file format, Tool will allow to save MSG mails in different types of Naming Convention. Provide the preferred name of .msg file. Second Method of Exporting : Second method of exporting MBOX file is to select Export Option directly from the "Tool Bar" of the Software. 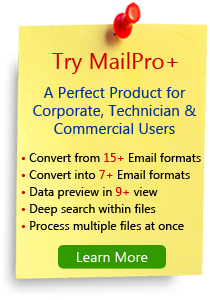 The significance of this method is that it will export entire mails in mailboxes/ folders. 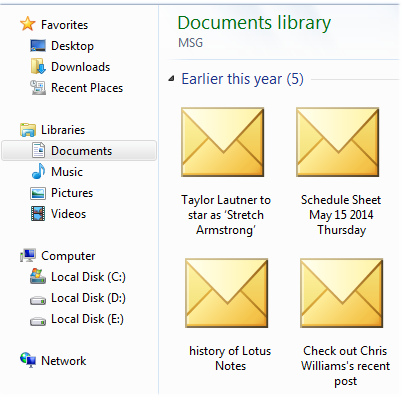 User can only select folders not a particular mails in the folders. Selection Process : When user click on the export button, Below screen will appear and in the right panel tool will ask to select folders of MBOX file which user want to export. Exporting Start : Exporting process will begin. It will take few seconds only. Export Report : After the completion of Exporting process, Tool will show Export Report. Saved MSG mails are exported and save without affecting internal structure and formatting along with mail's attachments. 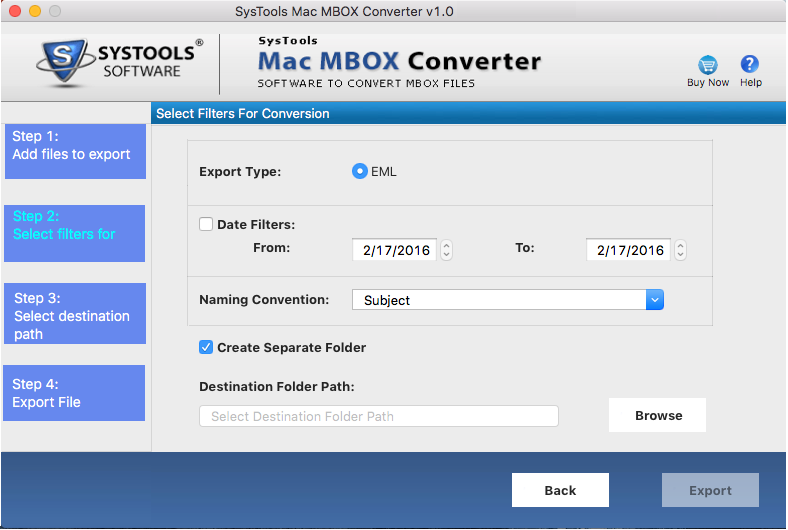 MBOX to MSG Converter for Mac can export multiple MBOX files to MSG while maintaining proper HTML format & all emails properties. 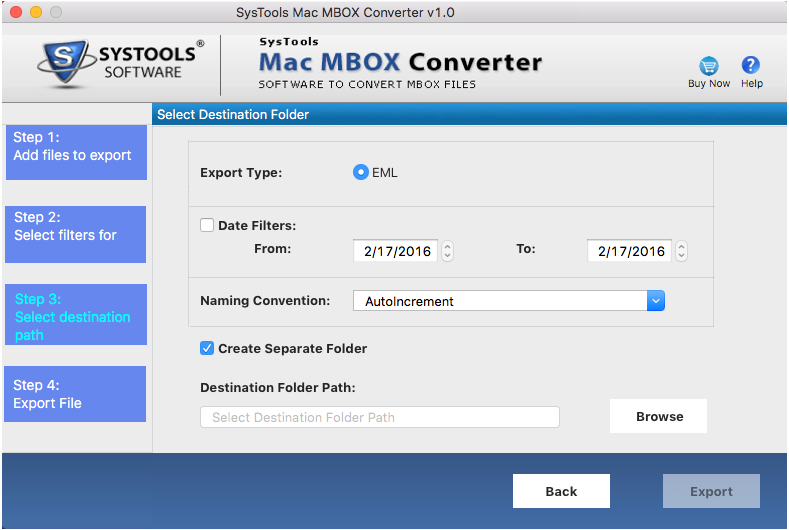 Follow the below step by step guide with screenshots for Mac MBOX to MSG Converter. Now select the filter for conversion. Choose various Naming Convention from the list for the output file. 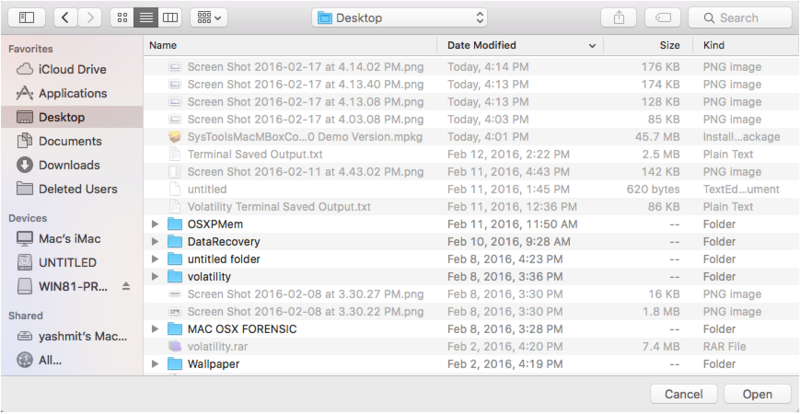 Select the destination file path in mac which looks like the screen below. After selecting the file path for output file, Click on Export. 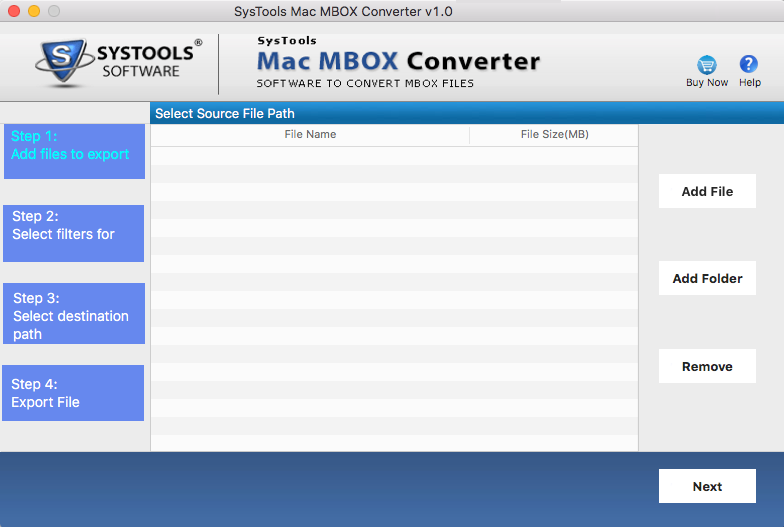 Now MBOX to MSG conversion for Mac is done and you can find the converted file in the destination folder. Is Software Supports Batch MBOX to MSG Conversion? 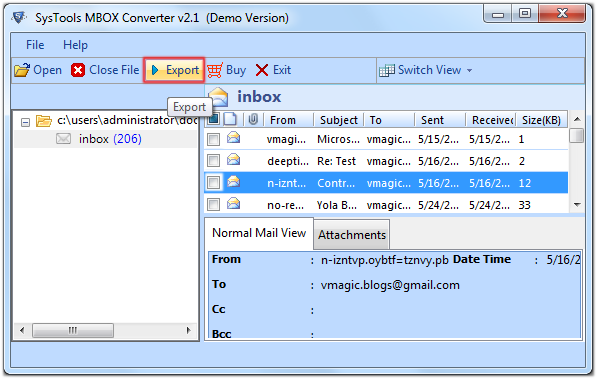 Yes, MBOX to MSG Converter for Mac & Windows is able to perfom conversion of multiple MBOX emails into MSG formats. 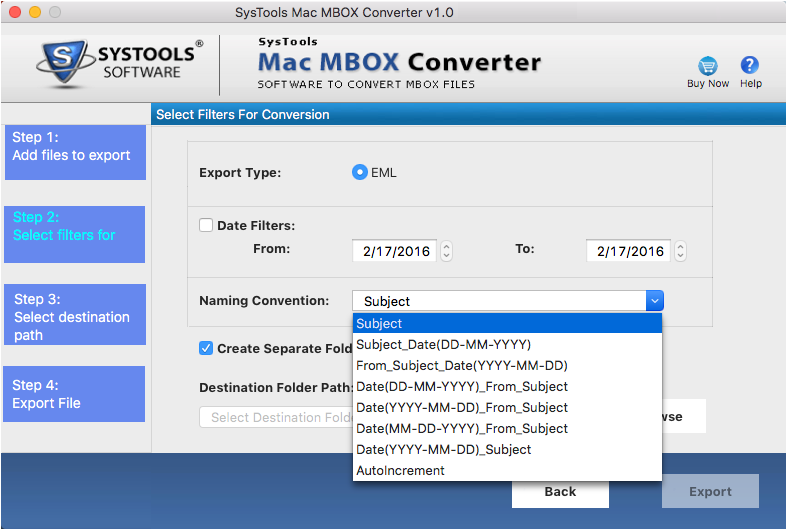 I was looking for a tool to convert my Mac Apple Mail to Data to MSG file and with the help of MBOX to MSG utility I have done the conversion in bulk with complete data accuracy. I just want to say thanks to the entire team for developing and offering such helpful solution. Free demo version is also available for the trial purpose that is absolutely free.